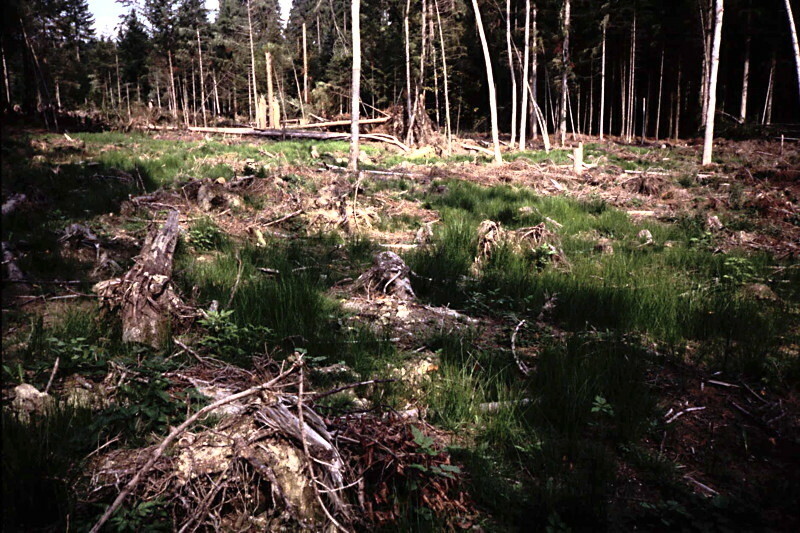 Forest soils are compacted due to the use of heavy machinery in forestry and especially during cleaning-up operations after gales like ‘Lothar’. On deep acid soils, this can be more problematic as natural soil mixing by earthworms is reduced. Soil compaction itself again reduces abundance of earthworms, especially anecic species. Left: On compacted soils water oozes only slowly away. Rushes appear as indicators of wetness. was affected by the storm Lothar. 15 years after the gale ‘Lothar’, with ample soil compaction during cleaning-up operations, percolation of rainwater is still clearly reduced. This increases the risk of surface erosion. 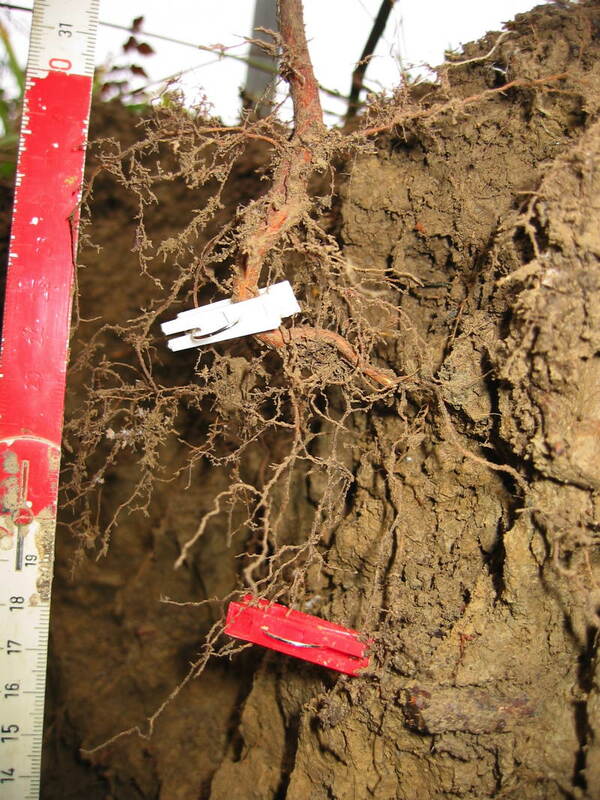 Besides, root growth of young trees into deeper soil layers is reduced. This can have negative consequences for forest stability. 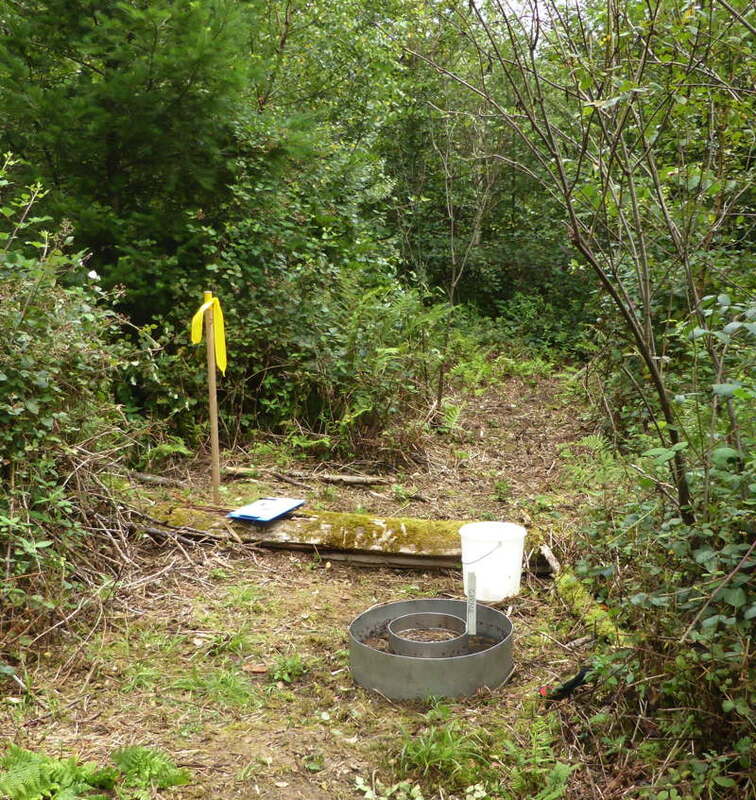 Influence of soil compaction, indicated as distance from a forest track, on the density of earthworms at three sites. 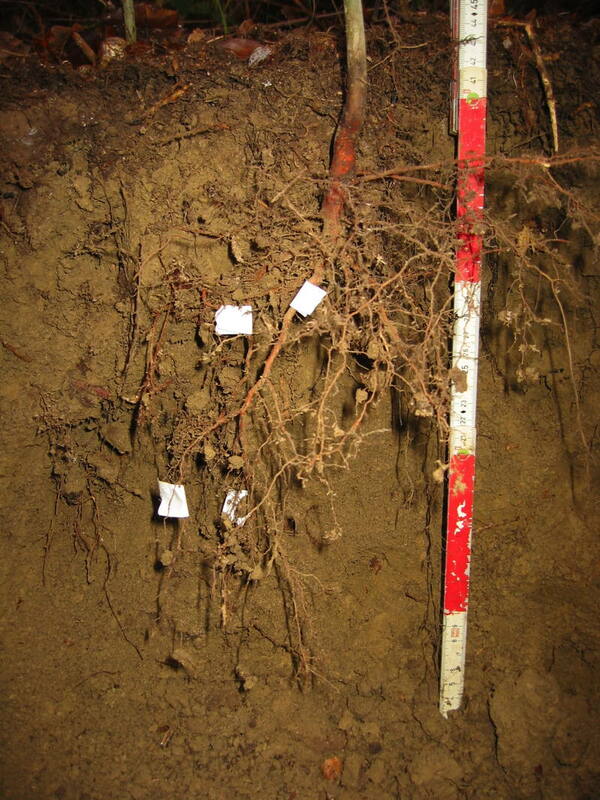 soil layers (left) while in compacted soils the roots are crooked and don’t grow very deep. sites compared to compacted sites.